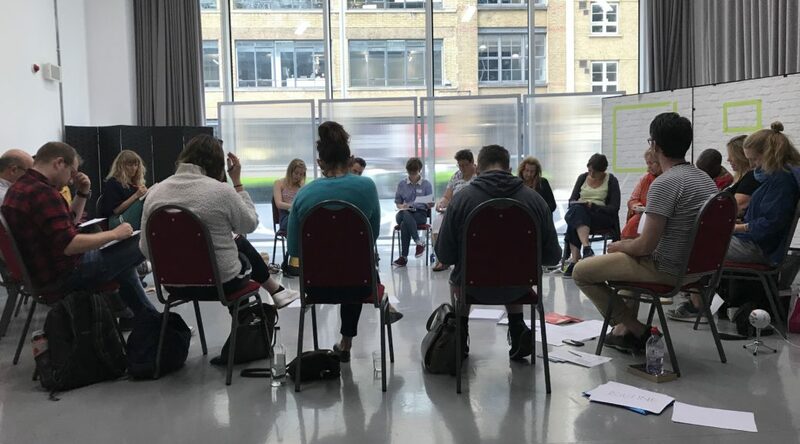 After the success of the taster session of this workshop at London Writers’ Week, playwright, Freddie Machin is back with his practical session on taking your work from stage to screen. This time, he’ll be working with a smaller, more intimate group – so please book early to secure your spot! From Stage to Screen is a one-off workshop which will explore the challenges presented in writing for these two different media. Drawing on the experience of adapting his debut stage play for screen, Freddie will lead participants through a series of exercises that will engage the visual imagination, highlight good structure, and encourage brevity in your writing. Who’s it for: this course is open to writers of all levels. Not a member yet but want to take advantage of the 20% discount on workshop bookings? Read more about joining and sign up and for around the price of a coffee here. Members click here to book through the members site at the reduced rate.